Directed by Paul Feig. Produced by Ivan Reitman and Amy Pascal. Written by Katie Dippold and Paul Feig. Release date: July 15, 2016. One of the most beloved and widely seen movies from the 1980s is the original Ghostbusters, which means that the inevitable reboot both makes a lot of sense and seemed doomed to fail from the start. You've got a lot of name recognition with Ghostbusters, especially given how heavily the series has been marketed since the first film was released in 1984, but you've also got a lot of fans, many of whom will have even higher expectations of the reboot than they would of another sequel. The new film is, indeed, a complete reboot, carrying over no continuity from the previous films - even if one of the trailers implied otherwise. The Ghostbusters have never existed, and while some of the actors from the original appear in this one, they're playing completely different characters. The story is different, the characters are different, and while there are a few nostalgic Easter eggs, the new film does its best to be its own entity. That's probably the smart way to go; once the film gets into gear, comparisons between it and the original kind of fall by the wayside. Our de facto lead - although it winds up more as an ensemble piece - is Dr. Erin Gilbert (Kristen Wiig), a professor up for tenure at the prestigious Columbia University. However, a book she co-wrote with Dr. Abby Yates (Melissa McCarthy) about the paranormal has found its way onto the internet, potentially jeopardizing her chances. She tries to get Yates to take it down, ends up going to a haunted house, sees a real ghost, is recorded and put on YouTube, and is fired from her job. As a result, she has no choice but to join up with Yates and Yates' engineer, Dr. Jillian Holtzmann (Kate McKinnon), to study ghosts. 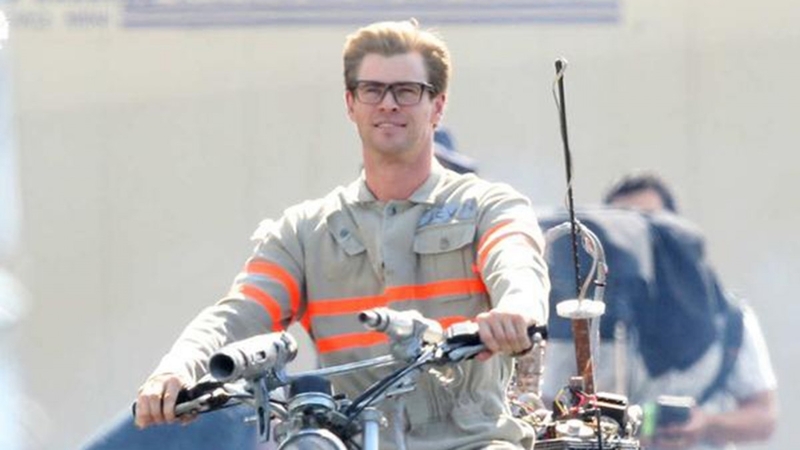 Eventually, they get joined by an MTA worker, Patty Tolan (Leslie Jones), and a receptionist, Kevin (Chris Hemsworth), and form whom the media dubs "the Ghostbusters." The four women slowly build up to the point where they can actively defeat the ghosts - they have to test their equipment, after all, and it's not all immediately functional. All the while, a bigger plot is afoot - a janitor named Rowan (Neil Casey) is planning to summon millions of ghosts from the "other side" and end humanity as we know it. As you can probably guess, only the Ghostbusters can save the world - even though everyone, including pointed internet comments, has declared them frauds. 2016's Ghostbusters will likely be remembered not for anything that happened on the silver screen, but for its pre-release hate and controversy. 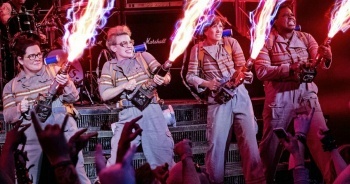 For the most part, Paul Feig's Ghostbusters is good enough to get by. Since it does try to distance itself from the original - outside of a few nostalgic pit stops - it's allowed to succeed or fail more on its own merits than with comparisons. The plot is simple but works. The screenplay provides us with a lot of funny moments - even if the character work is pretty slight. The cast kills it at almost every turn. The special effects are mostly good, even if they feel like CGI overload at times. The action is passable. There's little to love with the new Ghostbusters, but there's basically nothing to hate, either - and lots of it is pretty fun. It's the kind of good-not-great movie that we actually should be thankful for in what's been a pretty dismal summer movie season. 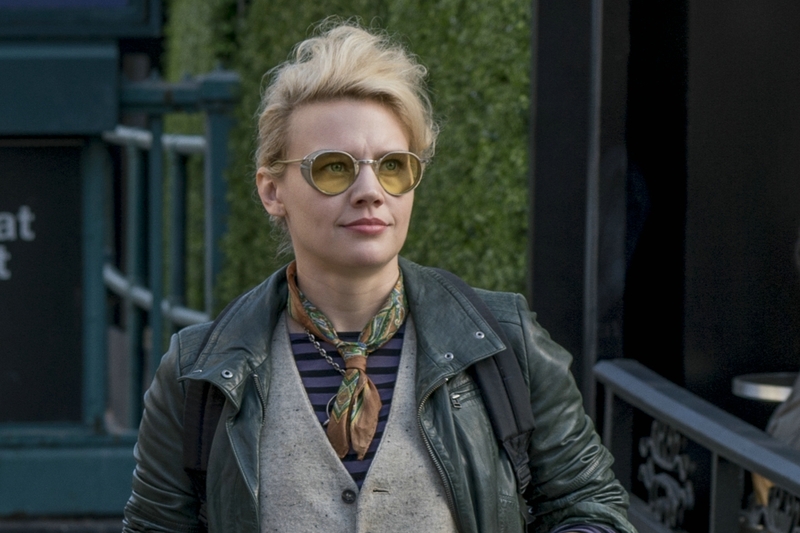 The cast is the main reason one might fall in love with the new Ghostbusters - a strength of the original, too. What's interesting about this one is that the standout performances don't come from the top-billed actors. 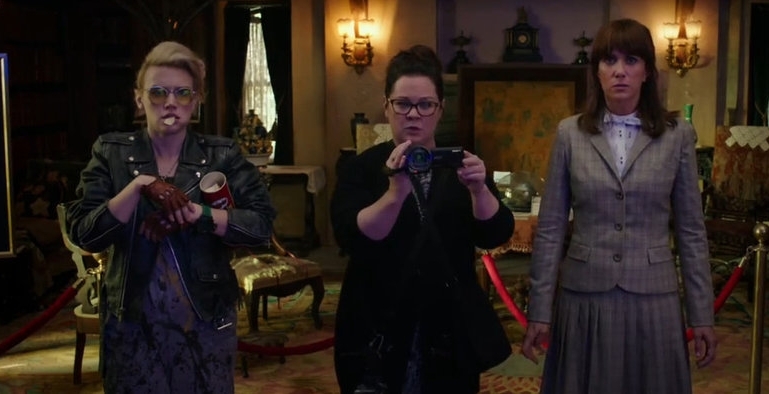 Kristen Wiig and Melissa McCarthy are good, but they don't make as much of an impression as the other leads - maybe because we know what to expect from them, and they play very much in their comfort zones. Kate McKinnon, despite having the least amount of dialogue, commands the screen at every moment. Someone needs to capitalize on that ASAP. Leslie Jones is also great - and very much not the "yells at people a lot" character that the trailers painted. And, in a surprisingly comedic turn, Chris Hemsworth is wonderful. Those three leave the biggest impressions and get the most laughs. 2016's Ghostbusters will likely be remembered not for anything that happened on the silver screen, but for its pre-release hate and controversy. That's really too bad, because the movie is a good-not-great reboot that actually tries to do some things differently with its premise, which is more ambition than a lot of remakes have. Its cast is great, its screenplay is funny, and the special effects are good. It's messy, the action isn't tremendous, and the characters are amiable but not particularly deep. It's not as good as the original, but it's more than serviceable. 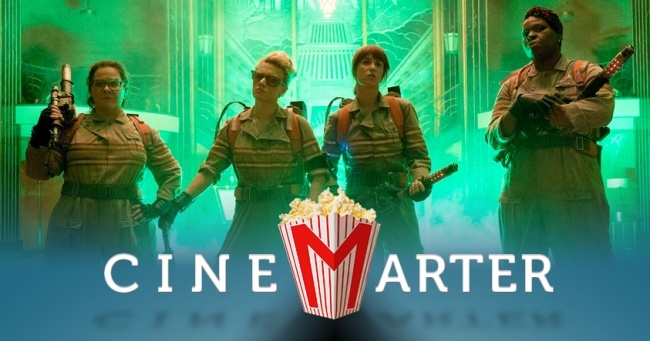 Bottom Line: The Ghostbusters reboot is good, not great. Given the quality of films this summer, that's more than good enough. Recommendation: If you like the cast and crew, or even like the original film, this one's probably worth seeing.